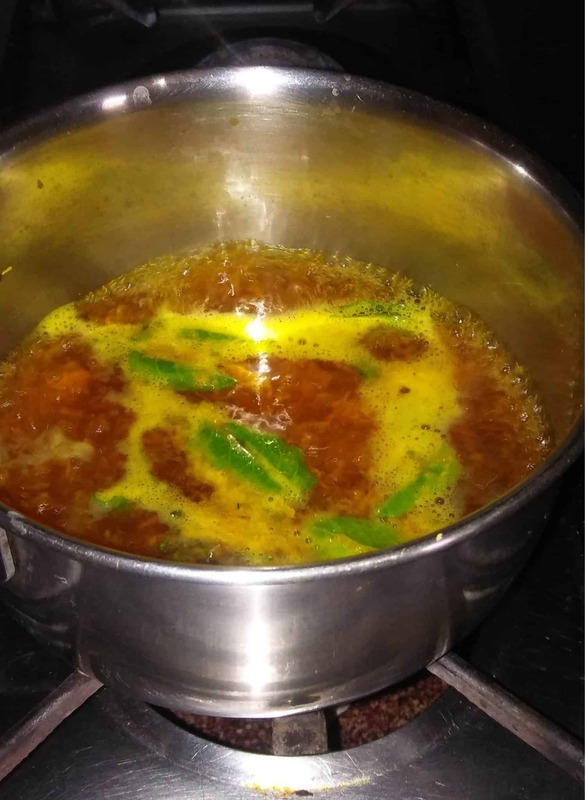 When winter starts, my father-in-law started reminding me of the herbal drink(prepared with milk) that I always prepare for my family during winters. 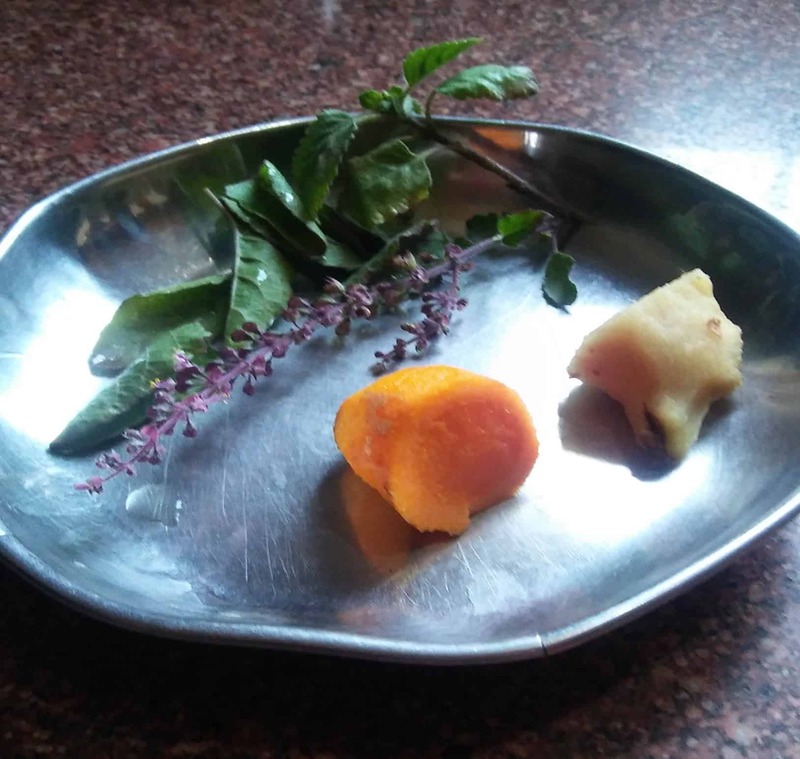 Most of us know the benefits of ginger, tulsi(basil leaf), raw turmeric but still, I want to tell some more about it so that you may get the urge of preparing this milk for your family. Turmeric milk is an infusion of either dry turmeric powder or fresh turmeric root (rhizome) in milk. Boost immunity Turmeric milk is an excellent tonic to improve your immunity against lots of diseases. 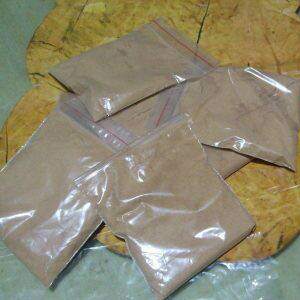 It is especially useful in cold and flu because of its antiviral effect. 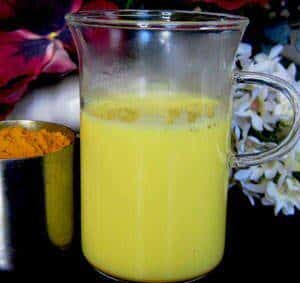 Make a habit of giving a cup of turmeric milk on an empty stomach in the morning or just before bedtime at night to the whole family including your darling one. Aches And Pains From childhood till now if I complain for body pain to my mother or even mother in law, both give the same advice. Have a cup of turmeric milk before bed time. Now I use the same nuska for my husband and daughter too. This can also strengthen the spine and the joints in the body. Menstrual Cramps Turmeric milk works wonders as it is an antispasmodic that eases menstrual cramps and pain. 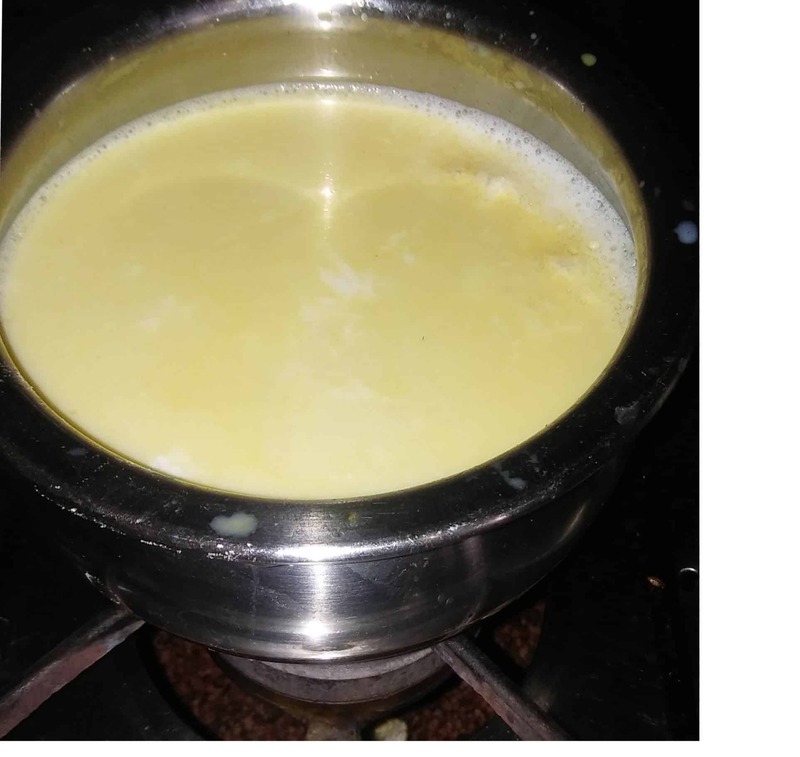 Pregnant women should have golden turmeric milk for easy delivery in her last weeks of pregnancy, postpartum recovery, improved lactation, and faster contraction of ovaries. Turmeric milk is considered an excellent blood purifier and liver detoxifier and cleanser in Ayurvedic tradition. Turmeric milk lowers the bone loss and osteoporosis. 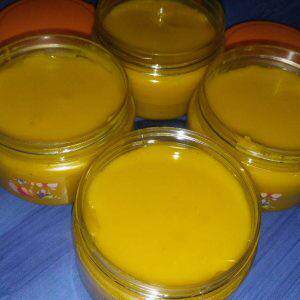 It can treat insomnia, make your skin glow, having turmeric milk daily treat eczema. This will improve the reproductive health in women. Their are many more benefits of turmeric milk, but I think these benefits are enough for everyone to include it in your daily routine specially in winters. Ginger milk helps in conditions of cramping. Women often have painful cramps during periods – in such conditions a glass of ginger milk offers amazing relief. This milk is very effective in cold and provide relief in sore throat when taken while going to bed. Good for fussy eaters -Try this milk on young kids, who keep repeating that they are not hungry, they usually get their appetite very soon. Ginger can reduce your cholesterol and sugar level. 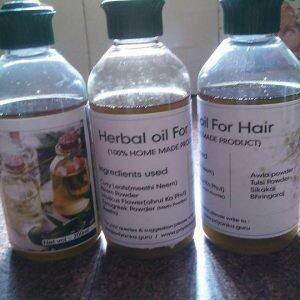 Ginger is very powerful in fighting parasites, bacteria, viruses, colds, stomach aches and head aches. When mixed with milk, tulsi’s medicinal effect heightens and you reap the health benefits of both these powerful ingredients in one go! 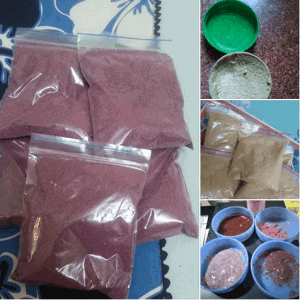 It improves heart health, cure flu, reduces stress , reduces headache. Disolve kidney stones – The combination of holy basil and milk is known to be an excellent diuretic, which reduces the uric acid levels and detoxifies the kidney, thereby dissolving kidney stones gradually. Both tulsi and milk come packed with antioxidants and nutrients that make your immune system stronger and more resistant to many types of cancers. The combination of hot milk and tulsi comes with antibacterial properties that can cure conditions such as sore throat, common cold and dry cough, when consumed regularly. It is very comforting to drink this milk on a cold night and cold morning. Take a glass of water in a pan and allow it to boil, when the water started boiling add grated ginger , turmeric and tulsi to it. Now lower the flame. When 1/4th of water remain add sweetener( sugar/ jaggery/ palm candy any one of these). Sweetener is completely optional. I used small quantity of jaggery. When the sweetener dissolve completely strain this yellow water to the hot milk. Allow the milk to boil just for few seconds so that all the ingredients dissolve well in milk. 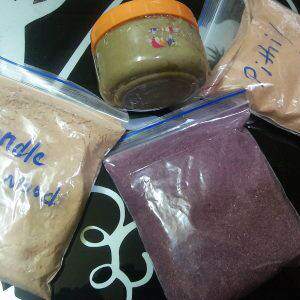 You can also use any of these ingredients separately according to your requirements. 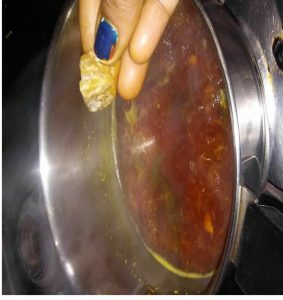 Earlier I used to boil these ingredients directly in milk, but this leads to the thickening of milk because of continuous boiling and become heavy to digest specially for kids. Over dose of anything is harmful. An overdose can cause heartburn, indigestion, diarrhea, nausea, liver troubles. If you like palm candy, add it instead of sugar, it goes very well with this milk and healthy too. Good for 2year plus baby. To get regular updates please subscribe to my blog and like my facebook page.